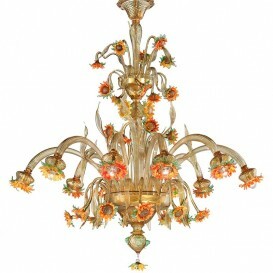 A harmony between flowers and fruits in this delicate shapes of chandelier. 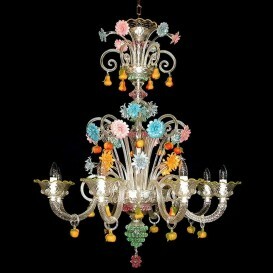 Its cups seem to be made with Venetian lace, the light is spread through slits and reflects between fruits and colorful flowers. 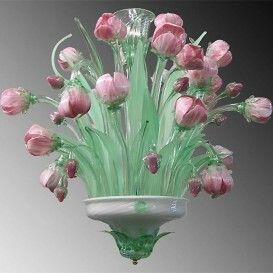 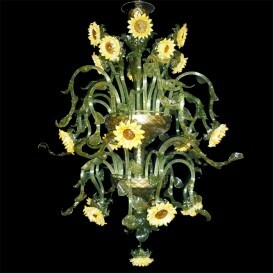 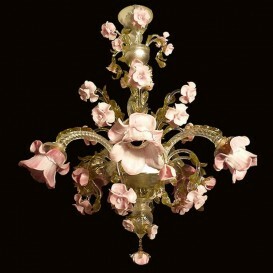 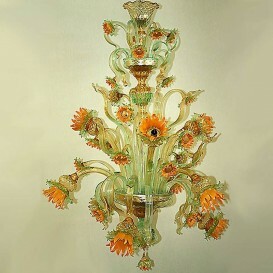 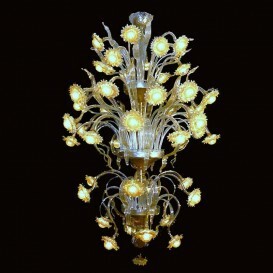 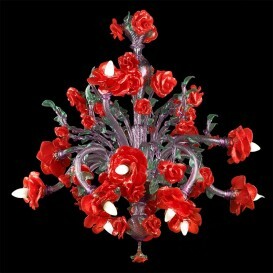 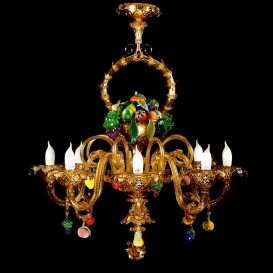 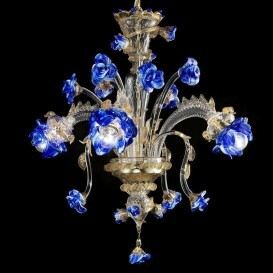 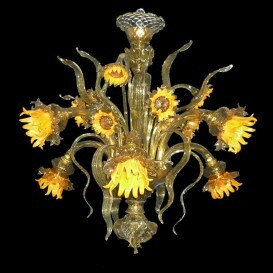 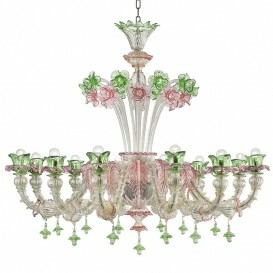 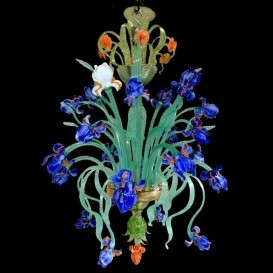 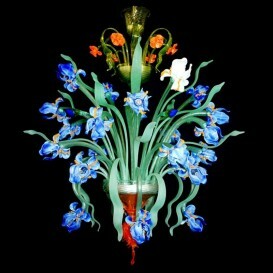 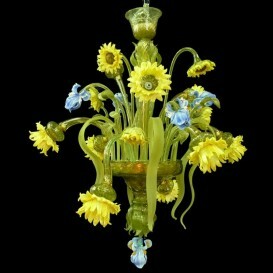 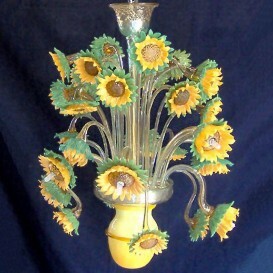 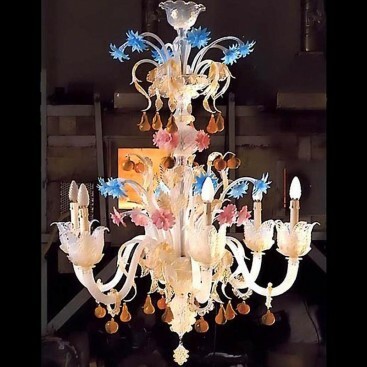 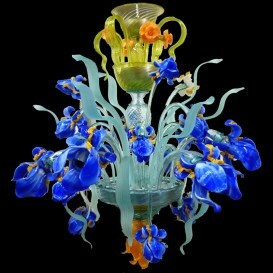 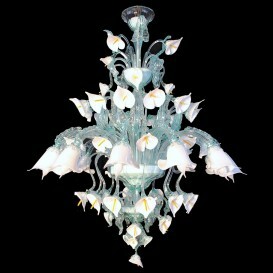 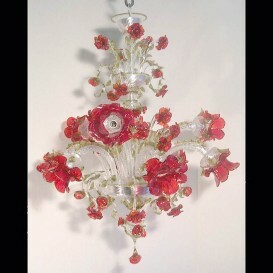 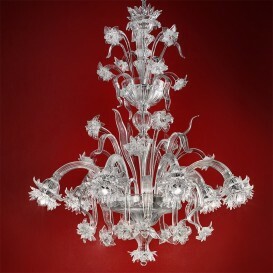 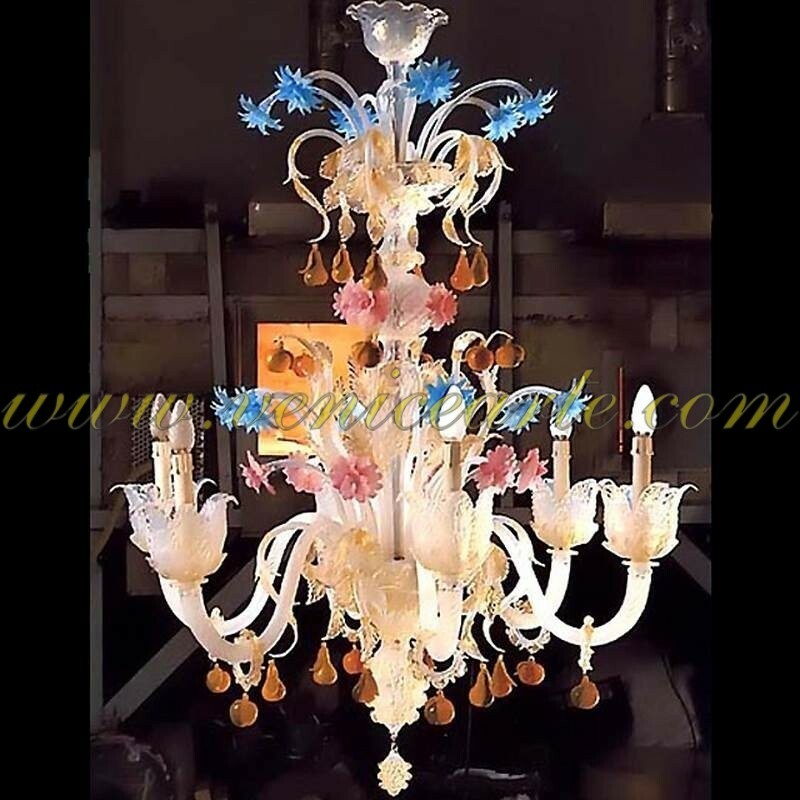 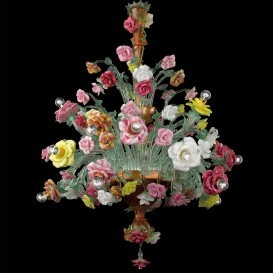 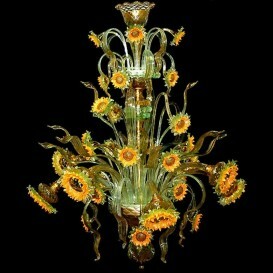 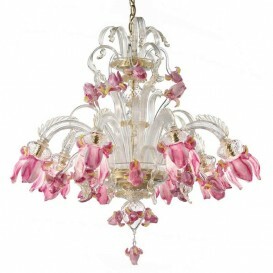 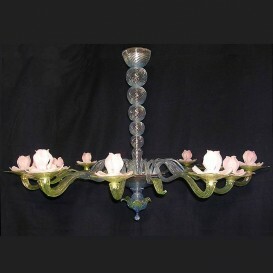 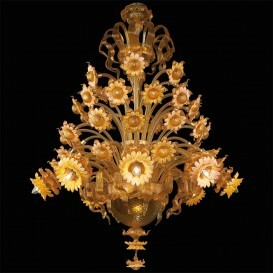 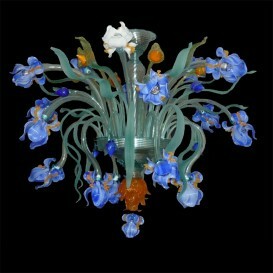 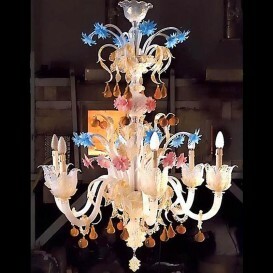 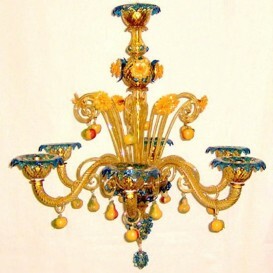 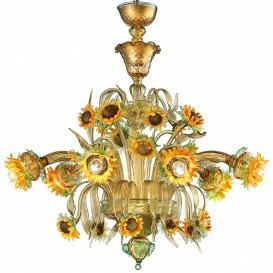 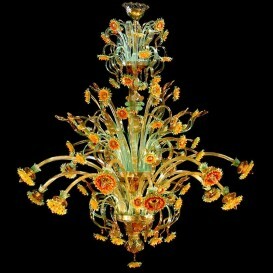 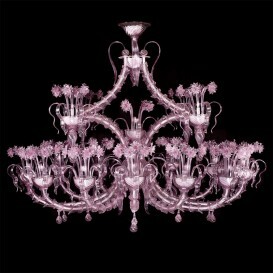 If you love the delicate light and the colors of nature, this is the Murano chandelier ideal for you.